Firebase, Google-Sign In and Flutter..
Google authentication pops up and asks the user credentials..
Once entered, Cloud function triggers.. In simple terms, it’s just a No-SQL database which is provided by Firebase, along with RealTime database.. Cloud Firestore / Firestore stores data in documents, which are organized into collections. Each documentcontains a set of key-value pairs. All documentsmust be stored in collections. Documents can contain subcollectionsand nested objects, both of which can include primitive fields like strings or complex objects like lists. Cloud Functions lets you automatically run backend code in response to events triggered by Firebase features and HTTPS requests. onUpdate — Triggered when a document already exists and has any value changed. onDelete — Triggered when a document with data is deleted. onWrite — Triggered when onCreate, onUpdateor onDeleteis triggered..
Go to your Firebase project directory. If everything was correct, you will see the following project structure..
// The Cloud Functions for Firebase SDK to create Cloud Functions and setup triggers. 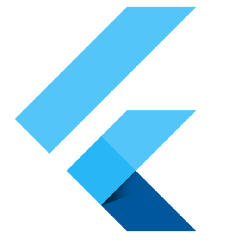 // The Firebase Admin SDK to access the Firebase Realtime Database.